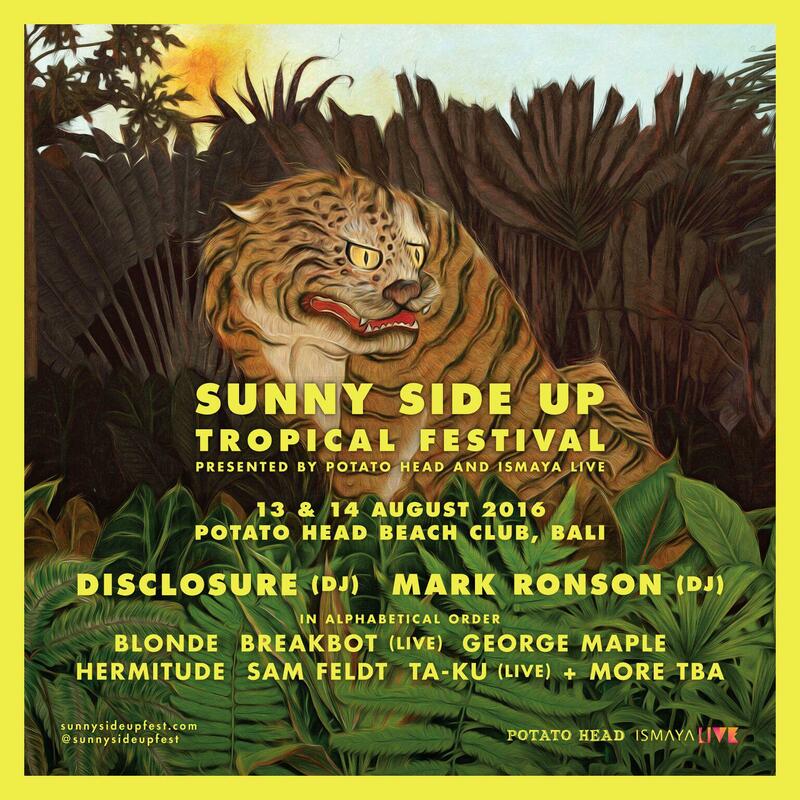 Soon enough, Potato Head Beach Club and Ismaya Live will raise the curtain on the 2016 edition of boutique dance music event Sunny Side Up Tropical Festival. On the sun-kissed shores of Bali, Indonesia, Sunny Side Up will play host to some of Asia and Australia’s most discerning music lovers. 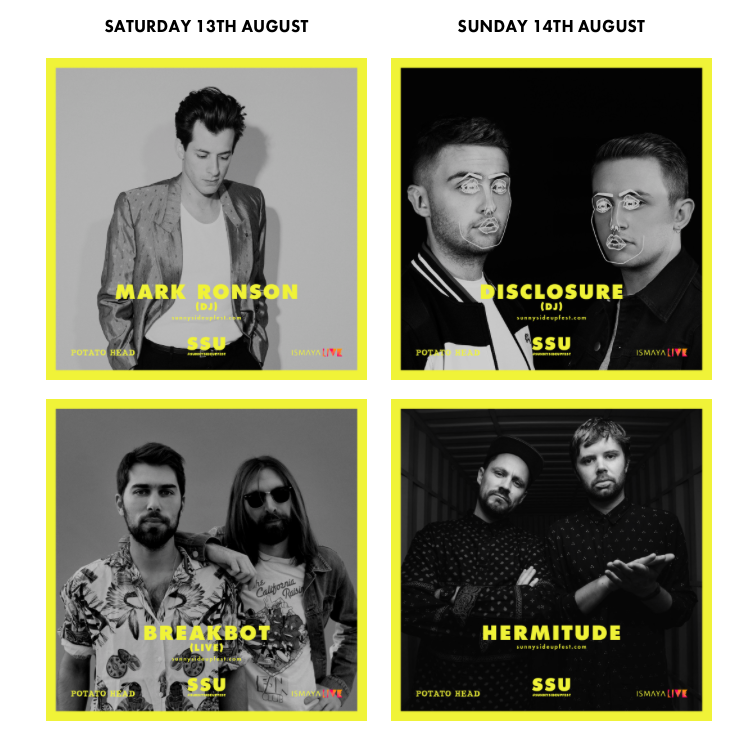 Jetting in from across the Asia Pacific region, fans will see internationally acclaimed headline acts Mark Ronson (DJ) and Disclosure (DJ) alongside the likes of Blonde, Hermitude, Breakbot (live), George Maple, Sam Feldt and more. Attendees will have the chance to experience all the fun and revelry of a world-class music festival in the unique oceanfront setting of Potato Head Beach Club. 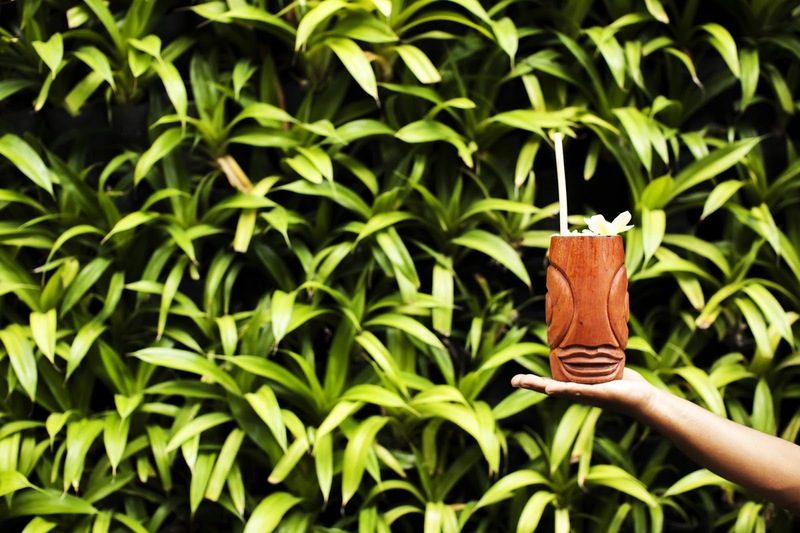 The venue’s award-winning bartenders and mixologists will be on hand to create their internationally renowned cocktails, including their two most popular, Kookaburra and Zombie. To complement the drinks, a selection of pop-up restaurants and stalls will serve an eclectic selection of festival bites, including Indonesian street food, Potato Head Beach Club’s signature burgers and sandwiches, MoVida’s Spanish fare, and desserts from Potato Head Beach Club’s award-winning pastry chef, Dedy Sutan. Potato Head Beach Club’s brand new sister hotel Katamama will also be opening its doors to festival-goers. With a very limited number of suites still available, Katamama boasts a growing reputation as one of the most uniquely designed, yet luxurious hotels on the island.